Swim with the dolphins in the crystal-clear Caribbean Sea one day, and ride horses in the mountains alongside an endangered rhinoceros iguana the next.The Dominican Republic overflows with distinctively diverse activities from land to sea to air.Touted by some as the Adventure Capital of the Caribbean, the island offers the opportunity to seize the moment as your personal memoir unfolds into the playful exploits of the Dominican Republic’s seas, rivers and mountains. Stay clean or get dirty in the second largest country in the Caribbean, boldly sitting between the Caribbean Sea and the Atlantic Ocean on the island of Hispaniola.Some things to keep in mind if you decide to go on a journey to this magical destination:You need a passport to enter and exit, the currency is the Peso, the primary language is Spanish (although many islanders speak a little bit of English) and safety first! Lifelock.com’s Facebook page offers some personal-safety tips to consider while traveling to the island country. Who better to know safety and precaution better than an insurance company? Come alive on your Dominican holiday and try something new — cascading.Take the opportunity to frolic in the country’s tropical mountain terrain, which is carved by rivers with ever-flowing waterfalls and swimming holes.Tap into your inner child as you trek through streams and climb up waterfalls only to slide right back down into an awaiting natural pool. According to National Geographic, Damajagua Falls is one of two cascade excursions not to miss.Close to Puerto Plata, climb up and slide down the 27 waterfalls and jump into pools at the base of cascades up to six meters below.While you can take an independent journey, having a guide, like Iguana Mama, can give you more knowledge and direction. Another option in the Dominican Republic is to simply take your holiday to the luxury of the white sands of Bavaro Beach in Punta Cana.Gaze upon the earth’s spectacular mirror-like waters and meander the small beach street shops of Playa Boca Chica.Play golf at the nationally recognized course Casa de Campo, which was the backdrop for the 1971 Sports Illustrated swimsuit shoot, and sample traditional Latin American dishes and snorkel the Coral Reef. Lonely Planet describes Santo Domingo, as “a vibrant beating heart that fuels the entire country.” Where the mountains and oceans give you adventure and solace, “La Capital” is Dominican’s life force.It’s the heart and soul of a country that dates back thousands of years.With some of the oldest cobblestone streets, churches and European landmarks, Santo Domingo was the first permanent settlement in North and South America and offers what the beach does not — history, nightlife and most importantly, it offers boogie. Other historical intrigues include landmarks honoring Christopher Columbus like the Museo de las Casas Reales, the age-old colonial military building in the New World Fortaleza Ozama, and Casa del Cordón, the oldest stone house in the Western Hemisphere built in 1503, according to Frommer’s. Let out your inner eco-tourist and explore the natural wonder of the Caribbean. The Dominican offers eco-tours that take you on horseback rides along the North Coast’s beaches, mountain biking in the mystical Cibao Valley and kiteboarding in 10 knot to 20 knot winds in Cabarete. With a history of spiritual presence in the hills above the beaches, eco-opportunities to briefly live as former cultures once did are available, as well.There are excursions that take you away from crowds into a life aquatic with natural activities such as snorkeling, cave exploration, river cruises, jungle hikes and whale-watching expeditions. Some Dominican resorts are going green and getting recognized for it.Dominican Today reports Barceló Punta Cana Resort getting a green certificate for sustainability in travel and tourism from Green Globe. By purifying their water system (on an island where you don’t want to drink the water unless it’s purified) and upgrading the guest room air-conditioning chiller systems, this resort is taking steps to improve the traveler experience while saving our sweet planet. 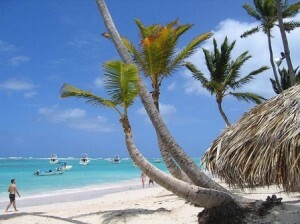 The Dominican Republic is an escape like none other. The exploration opportunities are endless.You can do what you want, and be who you are.Pack your flip-flops, water shoes and bathing suit and let your adventure unfold. The author of the Dominican Republic holidays, Damon is a social media expert and entertainment enthusiast.He studied digital journalism on the West Coast and settled in the bay area with his family.